Back in late May, Tami and I were guests on the set of James Townsend and Son’s YouTube Channel. Jonathan and his crew were gracious hosts, and he is as easy going as he appears in the videos. At the end of the taping session, Jonathan asked if I would do a short interview about traditional black powder hunting. The completed segment was posted last evening. Take a look! If you are not familiar with James Townsend and Son, be sure to check out their online store. Their YouTube Channel carries a wealth of living history information, including a series entitled “18th Century Cooking.” Usually Jonathan answers viewer questions on Thursday, and he also discusses historical resources during the “Friday Resource Forum!” And don’t miss the show’s rising star, Miss Ivy, as she helps make a hot chocolate drink, tends the herb garden and makes candied violets! Tami and I want to extend a special ‘Thank You!’ to Jonathan and his crew for their wonderful hospitality. We had a fun time, and we hope we can do this again in the near future. 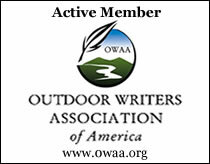 This entry was posted in Living History and tagged Black powder hunting, Dennis Neely, historical trekking, Native captive, North West trade gun, Northwest trade gun, trade gun, traditional black powder, traditional black powder hunting, traditional blackpowder, traditional blackpowder hunting, Traditional camping, Traditional Woodsman. Bookmark the permalink.